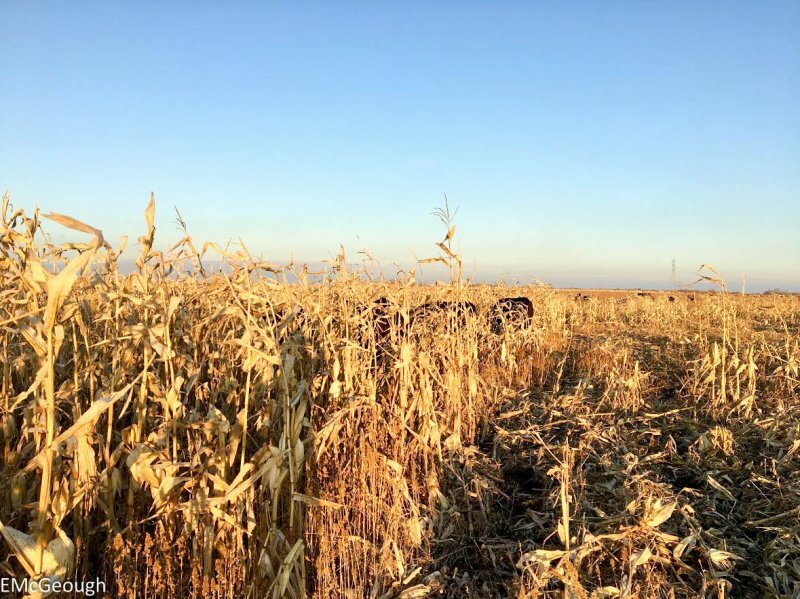 At this Johnson Research Field, MBFI is researching forages varieties for their use in extended grazing systems. This page provides information about this particular research project; including the background, objectives, and updates. Heifers eating in an individual system. Extended winter grazing is a management technique that is increasingly popular because of the economic benefits and soil benefits due to increased nutrient distribution on pastures. 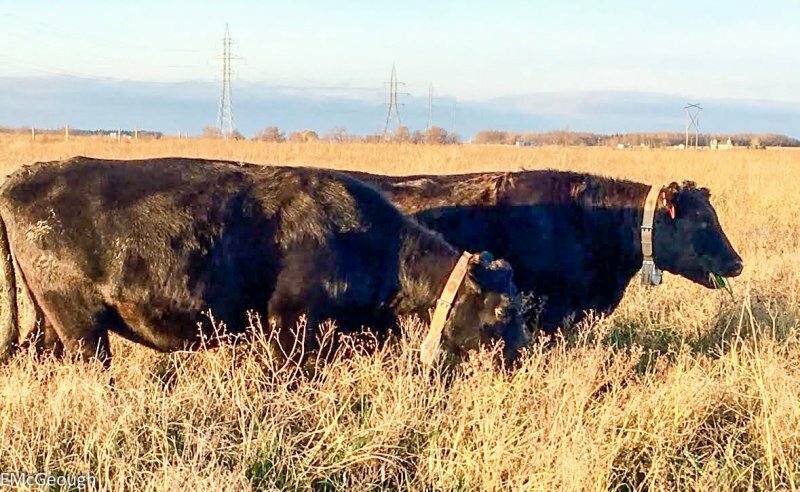 Although it is growing in popularity, little research has been done to determine which forage species are most suitable to use for stockpiled grazing. To evaluate annual and perennial forage species (years 1 and 2) and their potential to serve as stockpiled forage for overwintered cattle (year 3). To execute an economic analysis/risk analysis for selected forage species. - Period 1 of the grazing trial began on October 20 and was to be completed on November 16. As of Spring 2016 - Twenty-nine different legume, grass, and annual forage mixtures have been established at sites in Roblin, Carmen, Arborg, Saskatoon, and Lanigan. These sites are already being used to measure forage yield, quality, standing height, leaf: stem ratio, N contribution and productivity of the different forage mixtures. The summer of 2015 was used to establish five forage varieties at MBFI'S Johnson site. Dry cows will graze these forages during the 2016-2017 winter to test their persistence of quality, spring regrowth and capacity to remain upright with snow accumulation. It is anticipated that this research will identify forage varieties with improved yield, quality, persistence, and productivity for use in extended grazing systems.